We came, we saw, we…erm…had to cut the trip short by five days due to a bout of canine heat exhaustion. Apparently, a black dog and the hot desert sun do not mix; especially when said black dog considers running up and down hillsides after rodents, a hobby. Last year, we camped down in Kane Creek Canyon so Abbs was able to cool herself off by taking a dip in the chilly waters of Kane Creek. This year however, Kane Creek Canyon had already been snagged by April Action Car Show goers so we made our way up Cotter Mine Road and set up camp in Mill Canyon. Mill Canyon, with it’s monumental red walls, scrubby mesquite trees, heady scent of sagebrush, and the fine rust colored sand that infiltrates anything and everything, gives you the feeling that a Pterodactyl is about swoop in and steal the hotdog that you’re cooking over the fire. The hot sun beats down on the hard red earth and challenges the Earth, or you, or anything, to get in its way. And with few trees to offer a reprieve from the sun’s beating rays, Mill Canyon takes no prisoners and offers no apologies. Luckily we noticed that Abbey seemed more fatigued than usual and got her to the animal hospital for some fluids and air conditioning with lightening speed. She was given a clean bill of health but the doc suggested that we get her out of the desert. So we heeded his advice and trekked back to cold, snowy Summit County. Miss Abbs is back to her usual rambunctious self, burying her ball in the snow, begging without abandon for just a taste of our bacon, and making flying leaps through the five inches of snow that fell overnight last night. 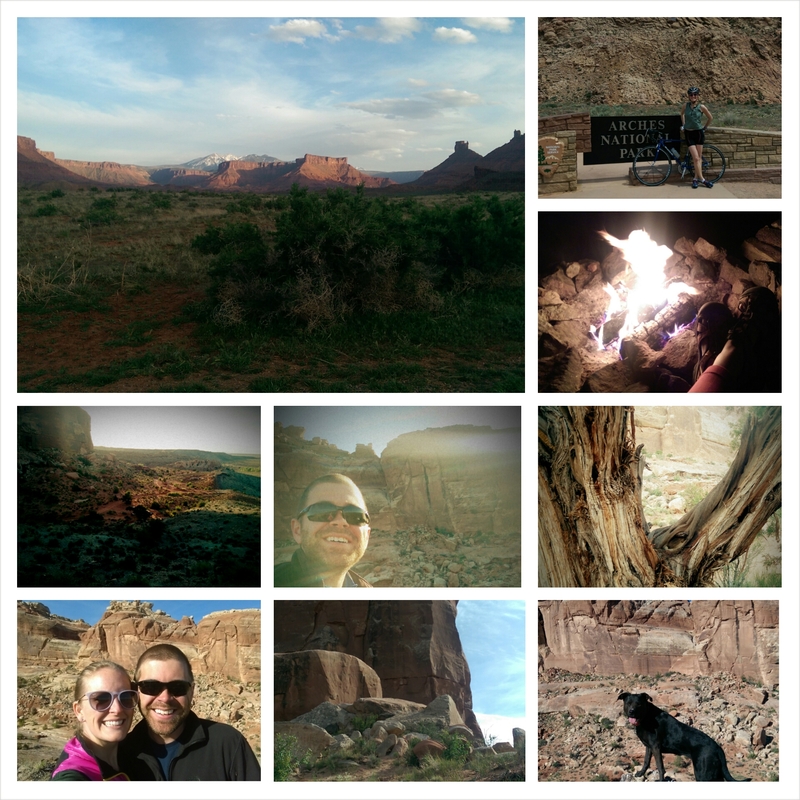 And although our time in the desert was short, we still managed to get in a bike ride down 191, a few hikes around Mill Canyon, a sunset spaghetti dinner, and of course some deliciously gooey s’mores over a cracklin’ campfire. Kane Creek Canyon save a spot for us, ’cause we’ll be back for ya! All the license plates in Utah turn green! 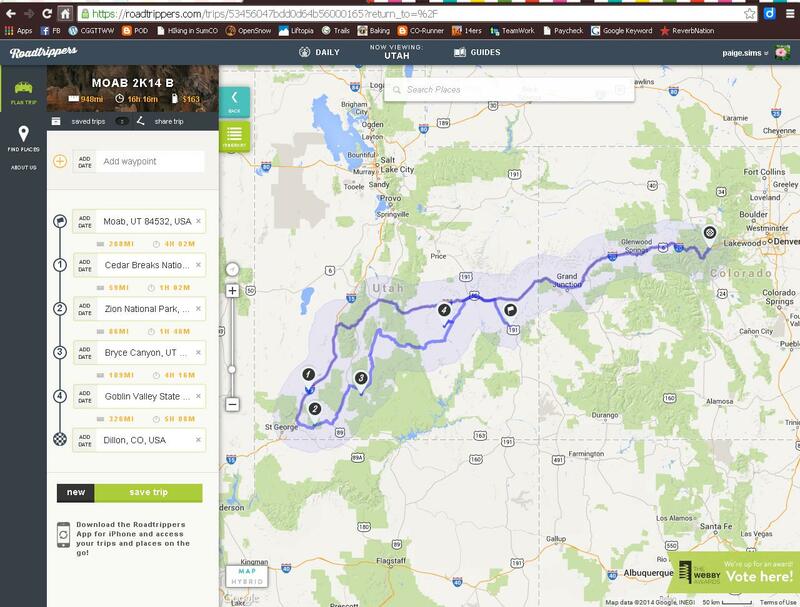 Our second annual “adult spring break” in Moab commences tomorrow, but this year we’ve added a leg that will lead us towards Bryce Canyon and Zion National Park for the tail end of the trek. Shoot me a note if you’d like to join us in the land of the red dust for any part of the trip! Otherwise, see ya next week! Cheers to a fantastic season. Now it’s time to party! two dogs, ten inches of snow. 1) I had breakfast on the deck on Saturday morning, and woke up to 9° and 10″ of snow on the ground this morning. Don’t worry a donut and a latte are making things right. 2) I am sharing my little apartment with two dogs until Saturday; one of which is a 100lb lap dog, who does not quite realize just how big he is. 3) Due to my aforementioned guests, I feel like I have two children, both under the age of 4. I am not organized enough for this. It was 11:12pm and my “workday” had just come to a close. It had been busy, bustling even, but nothing compared to the chaos and excitement of February and March. It had been just busy enough that my night felt accomplished; that our service had exceeded someone’s expectations and put a positive spin on their time in our beloved little mountain town. I sent my reports, wished Dan, our Graves Agent, a nice evening and wandered out into the crisp early April night. As I climbed into my car and made my way down Highway 6 towards Dillon, I marveled at how dark it was. No one was coming up the hill towards Keystone, headlights blinding, and there were no headlights blaring into my rearview mirror as we drove away from the resort. Even the usual cheery twinkle of lights in the windows along the lake and up on the wooded hillside were dark. That’s when it hit me. Closing was a mere 10 days away. Most of the “weekend warriors” were enjoying the bright sun, warm temperatures, and alfresco dining down in Denver and the spring breakers were dwindling. It was just us. The “locals”. It definitely had it’s ups and downs, and there were more times than once where my “weekends” were a necessity if I wanted to save my sanity. I learned more about the human brain and how to manage a group of people (guests and employees alike) who come from extremely varying backgrounds than I have during any other chapter of my professional life. And most importantly, I have never worked so hard and been so proud of what my team has accomplished in the last six months. 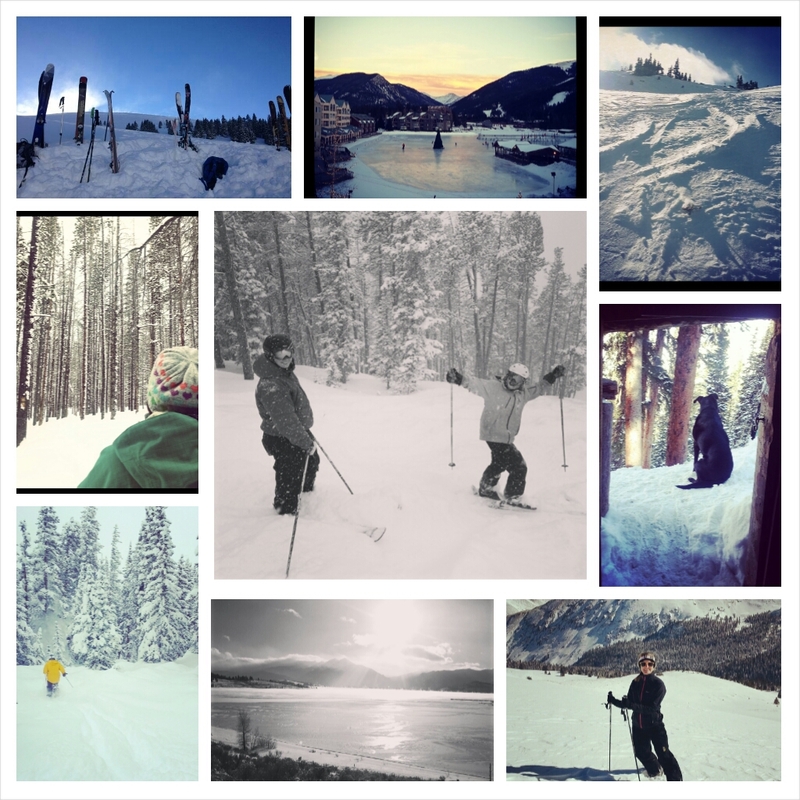 Living and working in a resort community, where people come and go as quickly as the weather changes up at 9300′ above sea level, is a hard lifestyle to get used to when you have lived in the same city your entire life. But in a way, a resort community forces you to become attached to these deciduous people like they are your kin. You spend nearly every waking moment together-working, playing, eating, exploring and generally live life to the fullest extent. They become a sort of extended family, where someone has your back, no matter the circumstance. A family of wild and crazy people, full of passion and love for wherever and whomever they end up with. Winter 2014, it was one wild ride.